The hottest colour, pick of the prints and a high fashion take on the humble jumper – welcome the new season in style with our trend-ticking collection. If ever there was a time to indulge your inner magpie, it’s now. Party season is on the horizon (no, we can’t believe it either) but deluxe decorators – specifically, pearls and jewels – don’t have to be saved for the Christmas do. 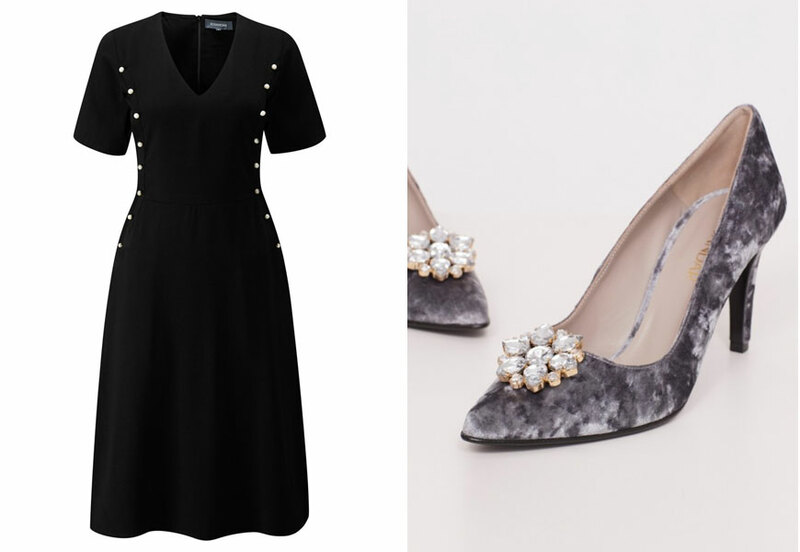 First up, pearls; the once-prim detail couldn’t be cooler, seen on the catwalks, the red carpet and now our elegant but edgy LBD. Dress it up for a night out or give it a downtime spin with a leather biker and brogues. Forget minimalism – bling is back with a bang for autumn. But before you raid your jewellery box, this season, the way to work it is on your feet. Crystal-adorned courts made multiple appearances on the AW17 catwalks, and our offering combines a jewelled brooch with plush velvet. Perfect for parties, equally good with denim and knits off-duty. 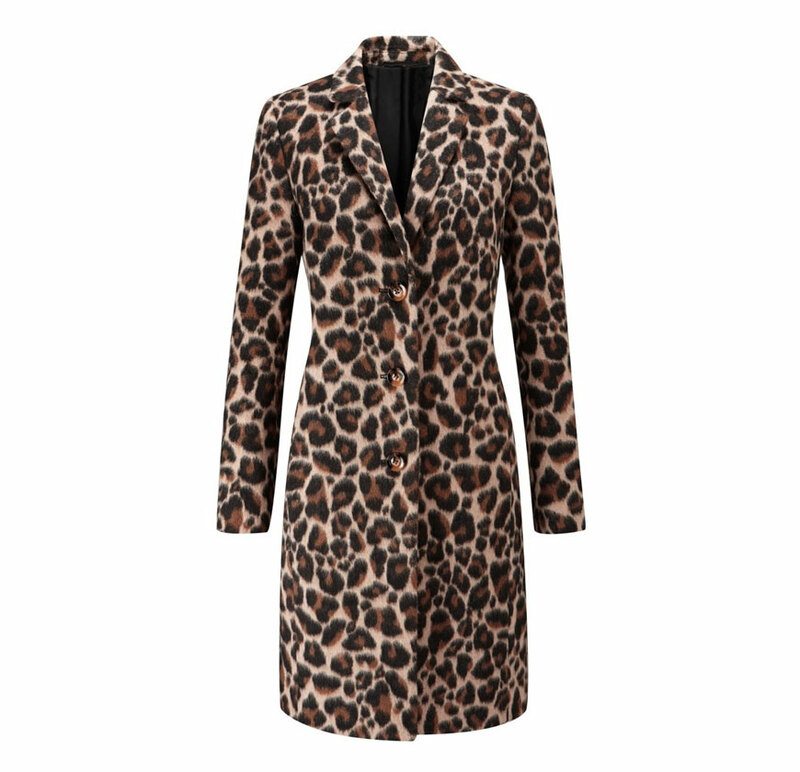 If you buy one coat this autumn, make it a leopard print one. Forever in style, Kate Moss, Alexa Chung and Fearne Cotton pull their trusty animal print cover-ups out of their wardrobe season after season. Leopard print is what we call a neutral, meaning that despite being a pattern, it works with everything. A modern wardrobe classic, the leopard print coat is a piece you’ll wear for years to come. The streamlined cut of ours tempers the bold print to create a chic silhouette that can be thrown over any outfit. Red is the colour for autumn. Sassy, seductive and a proven confidence booster, die-hard fashion fans will be wearing it head-to-toe – AKA the catwalk way – but a splash of this bold shade is all you need to create an on-trend outfit. 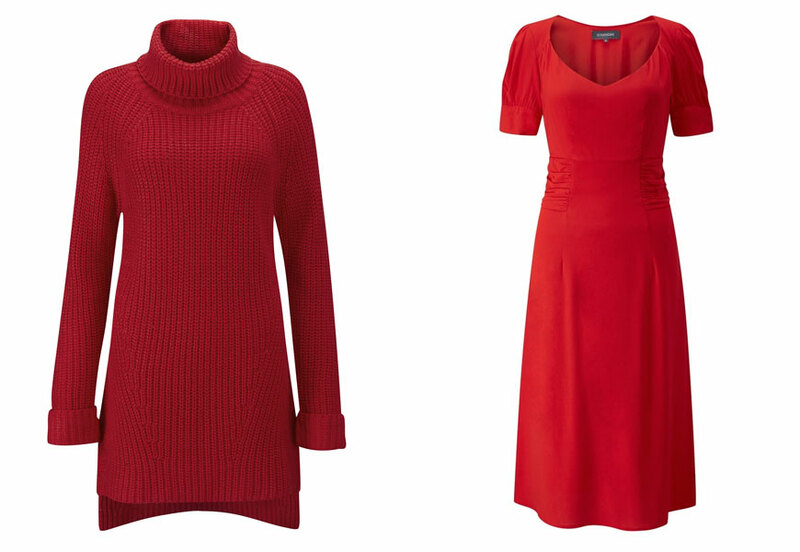 Red has long been one of our favourite colours, meaning you’ll find multiple ways to work the trend in our collection. There’s room in every wardrobe for a red dress (or three), which is good, because it’s seriously tough to choose between our tea dress, feather print fit & flare and ruffle hem offerings. 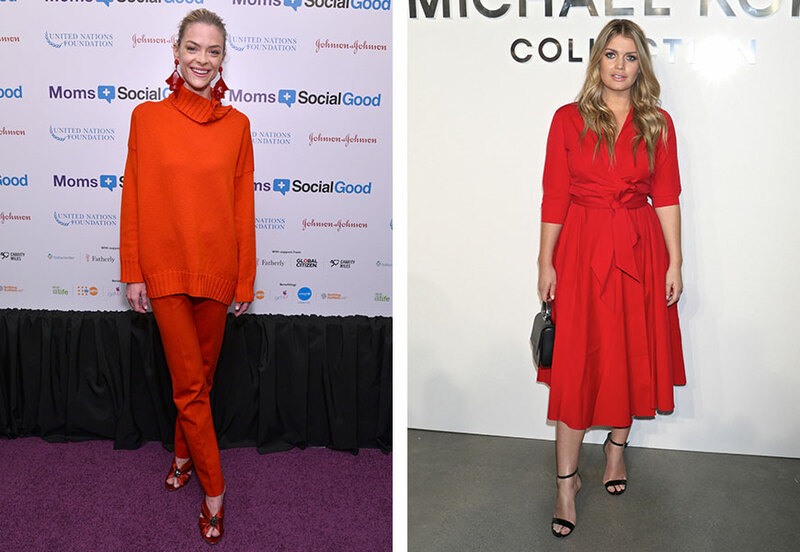 Off-duty, a red knit is a no-brainer buy – you won’t want to take our fisher rib roll neck off this winter – and, for the ultimate celeb approved finishing touch, your autumn footwear arsenal needs our red block heel ankle boots. 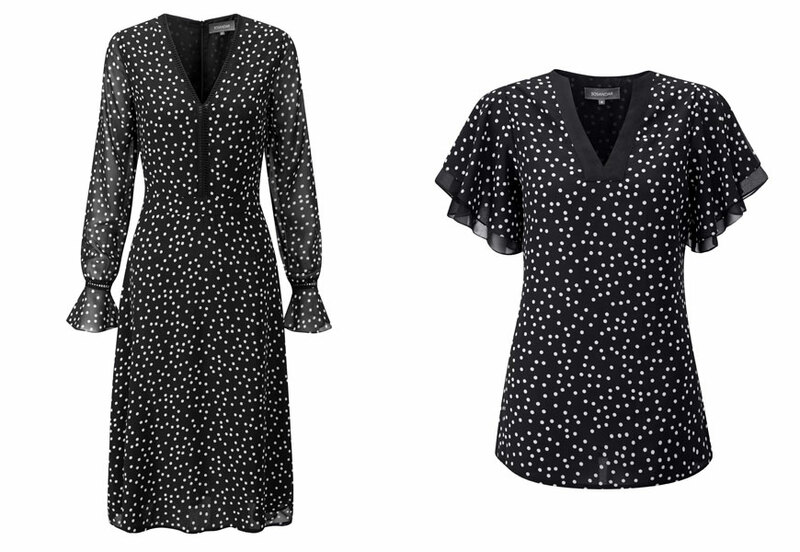 Another key player on the print front is the timeless polka dot. After appearing on multiple AW17 catwalks, it’s enjoying a full-blown revival and has resurfaced in the wardrobes of Kate Middleton, Freida Pinto and Emma Stone to name a few. We for one are welcoming the polka dot back with open arms; in monochrome form, it’s an effortless way to add print into your wardrobe. 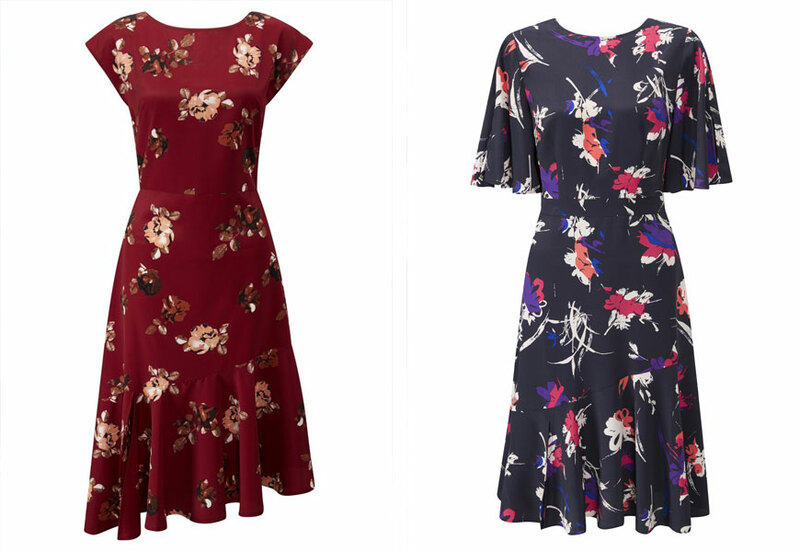 Our A-line fit & flare dress will work for the office and evening’s out alike, while the top version, with its statement double ruffle sleeves, takes the ‘jeans and a nice top’ combo to a whole new level. 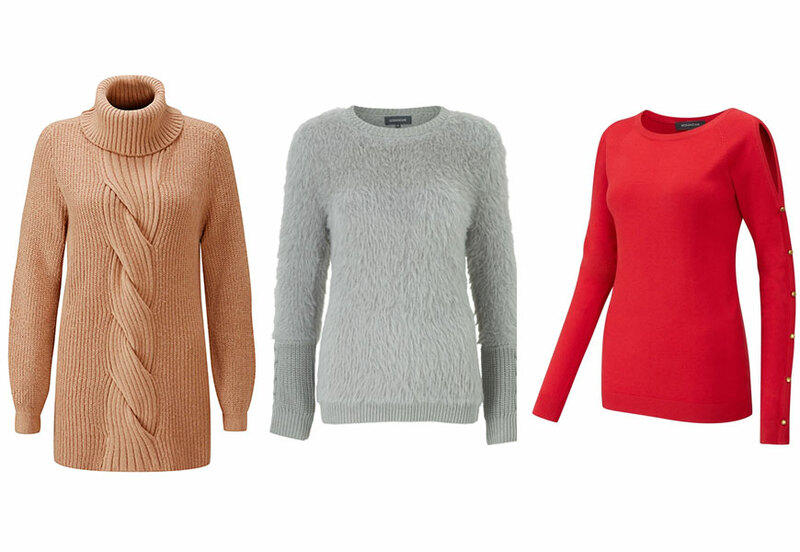 The humble jumper has been upgraded from wardrobe basic to legitimate hero buy this season. But not just any jumper. It’s all about knitwear with ante-upping details, from exaggerated fluted sleeves and ruffles to split shoulders and luxe gold button trims. We defy you to find a buy that can effortlessly elevate your go-to jeans and ankle boots like the trophy jumper, making it perfect for those days when you really can’t be bothered but want to look like you can. From teal to red to wine to black, we’ve got a next-level knit in every colour – all you need is the jeans. You don’t always have to reinvent the wheel to create a must-have. Case in point this season’s simple but statement hero buy – the floral midi dress. 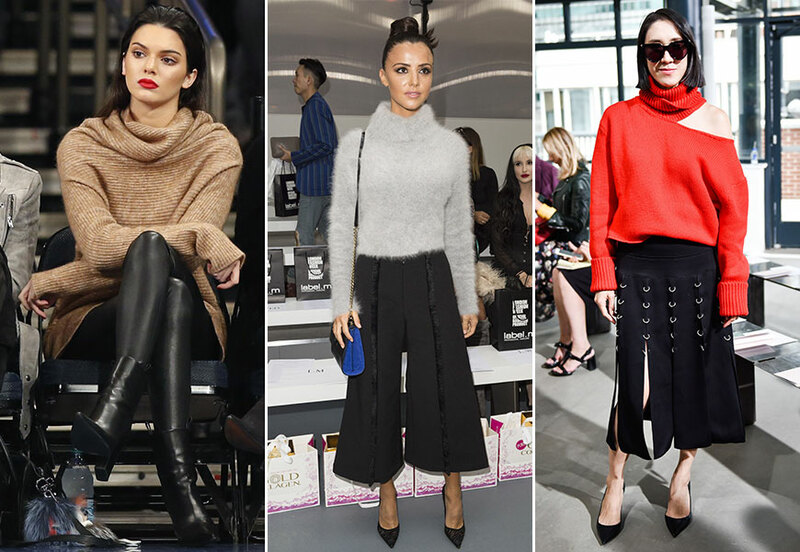 The concept is nothing new, but it’s a piece the celebs and street style stars alike are reaching for to transition into autumn. Moving away from the bright, tropical blooms of summer, new season petals come in muted hues, while the below-the-knee hemline gives the coverage needed for cooler days. From photographic florals to oriental blooms, we’ve got a floral for every occasion. Wear with ankle boots and bare legs while you still can, then add tights or style with luxe knee-high boots later in the season. Trust us, a good floral frock will be your work to weekend go-to right through till spring.